Power Failure- the computer has no UPS (Interrupted Power Supply) to invert current/voltage if there is a total power blackout in your area. Power Supply Unit (PSU) failure- blown fuse of power supply that cause to instantly power off of the computer. System Unstable- this usually happens to cause the computer system to hang-up or failure made by another program installed. 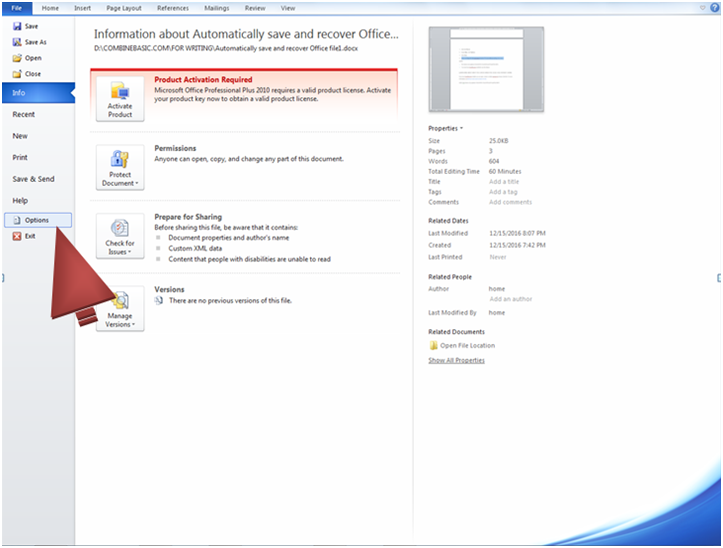 Microsoft Office Failure- this sometimes happen of the program that cause failures with unknown causes. Sometimes cause by malware or virus attack in your computer. That's why be assure to install known antivirus and update it normally. User Error- you accidentally close your Microsoft Office or close the program without saving your work. To avoid getting trapped that cause problems of your documents and data. Because of the failures and problem of the computer I stated above, Microsoft Office created these tools I stated so that you have hope to recover and save your files. Follow the below instructions how to set these tools in your Microsoft Office. 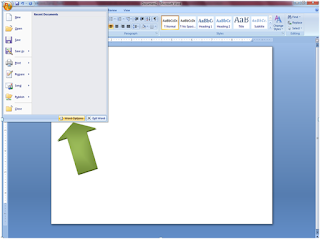 Open your Microsoft Office Word or Excel. Once it open click the file tab menu above. Select or check box the "Save Auto Recover information every 10 minutes". 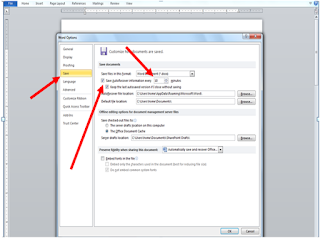 In the minutes field, specify how often you want the program to save your data and the program state. TIP! The amount of new information that the recovered file contains depends on how frequently a Microsoft Office program saves the recovery file. For example, if the recovery file is saved only every 15 minutes, your recovered file won't contain your last 14 minutes of work before the power failure or other problem occurred. You can also change the location (specified in the Auto Recover file location box) where the program automatically saves a version of files you work on. Note: For your convenient, see the post picture above. Click the file tab menu. 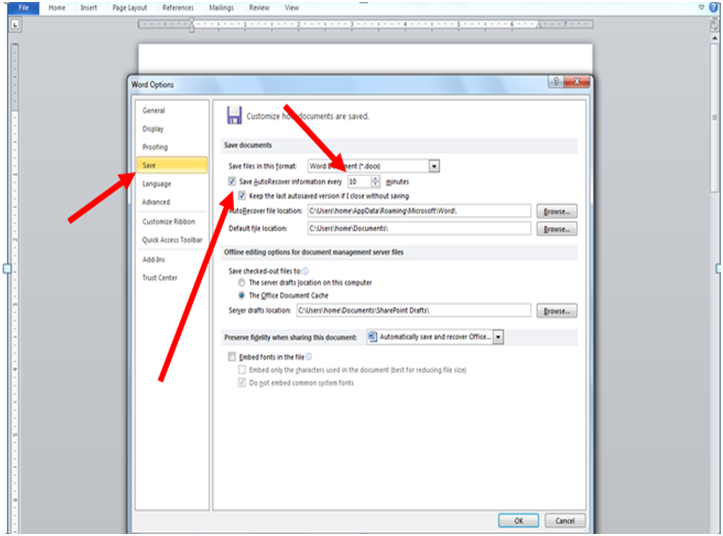 Select or Check box the "Keep the last autosaved version if I close without saving. Hold ALT key then press F.
Click word options button below. Then in next window click save at the left panel. The follow the instructions I mention above. Note: If this instruction I stated here in not available in your Microsoft Office, it is understood that your Microsoft Office program is above 2010 version.